Outsource to DemGen for additional support for your team! 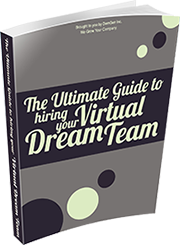 Why hire a temp when you can outsource to a team of experts? Our team of experts have a proven track record of supporting corporation’s in-house staff for sales, lead management, customer service, and much more – since 2005. We have a full suite of services to support your team in completing projects and reaching goals. Missing out on sales due to a disconnected lead nurturing system? Investing in advertising or trade-shows, yet not following up with leads? Losing clients due to overwhelming help desk or customer service needs? Lacking an in-house HR team to recruit new hires? For less than the price of one full time employee, you can get access to a team of over 35, available on-demand, for any project you require support with. Instead of sourcing, interviewing, hiring and training temporary employees for every support need you have – consider outsourcing the work to our team instead! Your dedicated Project Manager will work with your in-house team to learn your corporate structure and systems intricately, and train your DemGen team on your behalf. You only train us once! Give us a ‘test project’ and we’ll most likely pay for ourselves!